I am pleased to send you this edition of my electronic newsletter. These e-newsletters enable me to provide information about issues, events and activities in Harrisburg and around the 41st Senatorial District to you in a timely manner while saving postage costs. If you find this e-newsletter useful, I invite you to visit my website www.senatordonwhite.com for more information about your state government. You can also keep up to date through www.facebook.com/senatordonwhite. 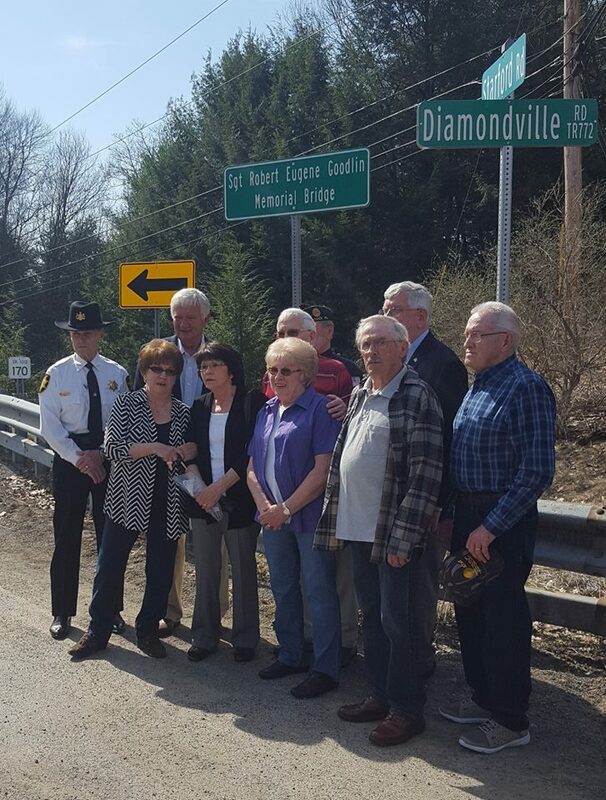 I was pleased to participate in a recent ceremony to dedicate the Diamondville Bridge in Cherryhill Township, Indiana County, as the Sgt. Robert Eugene Goodlin Memorial Bridge. Sergeant Goodlin lived in Commodore and attended Purchase Line High School prior to enlisting in the US Army. He served in Vietnam and was awarded a Bronze Star for his actions during that conflict. This bridge should serve as a lasting reminder of the dedication and fidelity of this local hero. There were some types of crashes which saw fatality increases in 2017. There were 153 fatalities in crashes involving drivers aged 75 years or older, up from 132 in 2016. Fatalities in red-light running crashes increased to 35 from 28 in 2016. Also, fatalities in work zone crashes increased from 16 to 19. I am pleased to join with State Representatives Dave Reed, Jeff Pyle and Cris Dush, as well as the Indiana County Commissioners; the Indiana County Chamber of Commerce; the PA CareerLink® Indiana County and Renda Broadcasting in announcing that Job Fair 2018 will be held on Thursday, April 26, in the Kovalchick Convention and Athletic Complex at Indiana University of Pennsylvania. The Job Fair is free and will run from 10:30 a.m. until 4 p.m. Veterans will be admitted at 10:30 a.m. the gates opening to the general public at 11 a.m. Candidates of all ages, experience levels, and industries are encouraged to attend.